Criminology assumes the position of an established discipline, yet its influence is limited by its primary focus on the West for both theoretical and empirical substance. But the growing interest in comparative criminology now means that countries compare notes, thereby broadening the parameters of criminology. Still relatively ignored in the literature, however, are issues of crime and justice as they affect people of African descent around the globe. 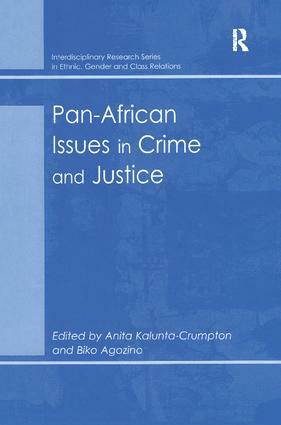 Drawing upon materials from countries in Africa, the Caribbean, North and South America, and Europe, this stimulating book reflects on the experiences of people of African descent to offer a convergence of criminologies in and outside the West. Simultaneously, it acknowledges Western criminology as a significant angle from which to comprehend crime and justice as they are conceptualized outside the West. The volume also investigates whether Western criminological accounts are relevant to the comprehension of crime, criminality and systems of justice in Africa, the Caribbean and South America.